Take a selfie in low light with no hardware front flash light? Now it's possible with Front Flash Camera! 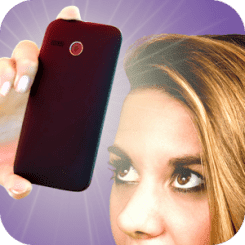 Snap a selfie using screen light that illuminates your face. To take a selfie, this front flash application will raise the screen brightness to maximum and works as a selfie light. - take a selfie in the dark! This free selfie camera application makes your photos much brighter.